We’ve featured Moneyfingers, Inc. founder Chris Haddad a few times before on this blog, but instead of giving you a snippet of his insanely effective methods, we decided to share the full bang. What do any of these mean? 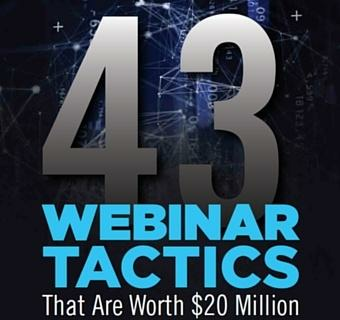 Watch this 15-minute video, implement the techniques into your next sales letter, email or video, and watch your conversions double or triple. Sauces 5-8 coming right up in Part 2 of the talk. I’m rewriting my book based on this video! WOW! Heh. I look a little ridiculous in the mutton chops, shorts and freaky shoes. But hey =-). Mindvalley definitely takes the high road with their sales letters. I have no doubt Chris’s concepts work but I don’t see Mindvalley using them. Or are they just so good at it I don’t notice? Any thoughts on this? Any case studies on how this stuff works in B2B – because frankly I’m dubious that this would work on internet savvy business minds, which is who I’m selling to. It might work on cast strapped, heartbroken desperado’s but I’ve tried this stuff in the B2B market and it just don’t fly. Guys checkout theBillionairesBrain.com – a truly must-have tool for every high performance entrepreneur..
I’m just curious if i can use this process to write sales email for a B2B customer.I’m in B2B business and my emails have to be read by executives who are in the position to take the decision. Wouldn’t it be very obvious to him/her (recipient) that this is a sales email. Is this process only for consumer internet products? Is there any hack for B2B sales e-mail. Thanks for the great help, I know this info will help me with my site’s conversions. I’m excited to make some changes!